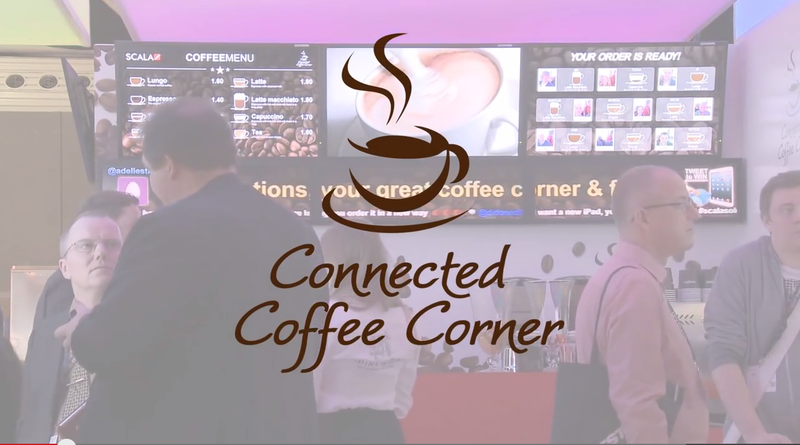 A demo of Scala’s Connected Store solution presents visitors with an engaging, interactive shopping experience. Mobile devices and apps have introduced retailers to an unprecedented level of personalised engagement. By means of Bluetooth Low Energy (BLE) it is now possible to pinpoint a customer’s location within a store. Scala demonstrates a solution using Apple’s iBeacon which can send customers personalised notifications about items near them, items on sale in the store or products of particular interest. We show how customers can even “connect” their phone to one of the playback screens in the store for 1-on-1 engagement! “Lift technology” is used with a range of whisky bottles, displaying relevant information on a screen whenever one of the products is lifted from its spot on the store shelf. You can also lift multiple items to compare them. To complete the Scala retail experience, electronic shelf displays were also included. They allow store owners to adjust pricing per store-shelf location instantly directly from the POS, with only one click, across many different locations.